This was our first time as vendors/exhibitors for any type of convention like this. Set up started on Friday, the day before the convention, and we came with a bunch of inventory and shelves to display all the products that we brought. The hardest part about setting up wasn't building the shelves but displaying the inventory. We wanted to show the wide variety of toys that we have available but we only had one small booth to do so. The shelves that we brought had depth but the issue was that anything on the inside wouldn't be seen by people passing by. 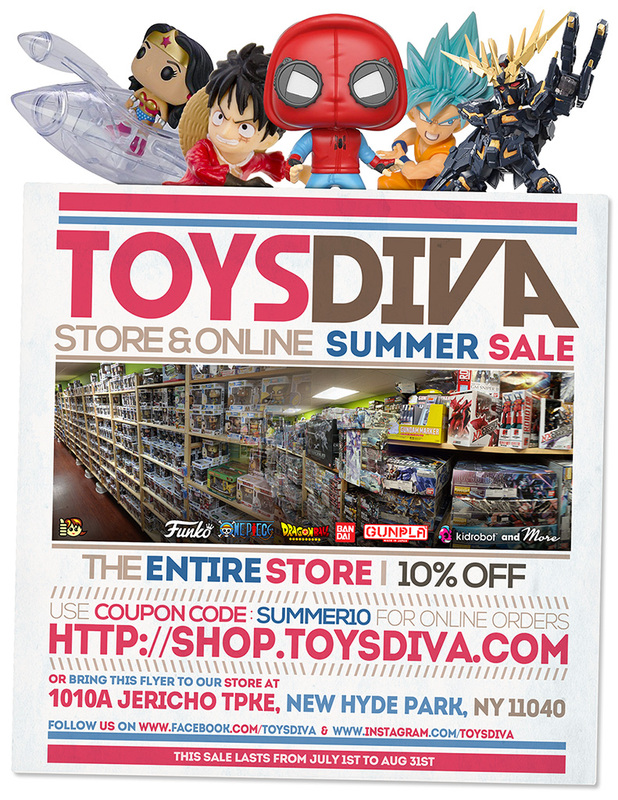 Most of our big merchandise like our Perfect Grade Unicorn Gundam 02 Banshee Norn, 1:12 Scale Batman The Animated Series Batwing DC Collectible, and our X-Plus Shin Godzilla 2016 were placed at the very tops of the shelf while smaller items like our POP! toys would go on the shelf or on our table. The longest of the three days as well as the one filled with the most struggles. Upon arriving at the venue with a bit more inventory, we were told that we couldn't enter the building the same way we did the day before and were directed to a line filled with other vendors waiting to get in while VIP and regular guests were waiting in two lines next to us. Vendors who were supposed to have been able to get in to finish setting up before the convention started were now stuck outside waiting to go through security as the time was approaching the 10 o'clock opening. When we finally got to our booth, we were happy to remember that outlets were beside our booth so we could charge up our electronics only to realize that we had to pay $150 for the electricity. On top of that, there was no service since we were in the basement of the coliseum and no service = no credit cards. Once we got through the initial difficulties and adapted to our service-lacking environment, things went much more smoothly. 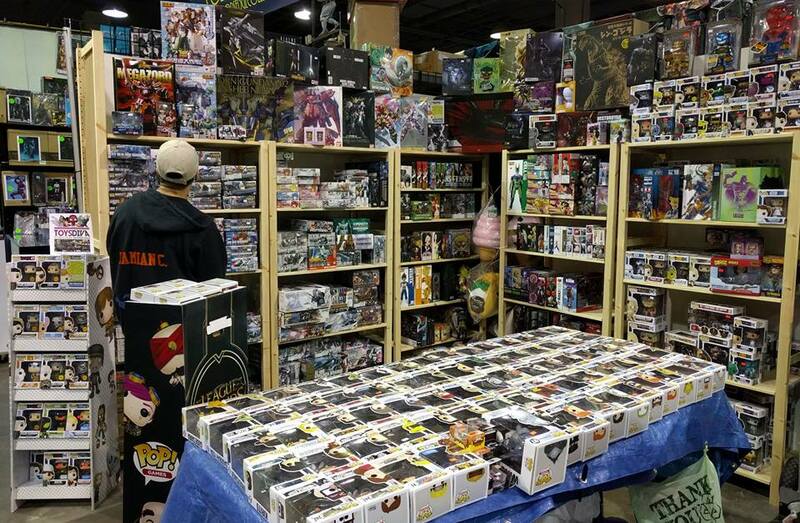 Sales were decent but it was still difficult because most of the booths at the convention were selling the same type of toys (mostly Funko POP!) but were able to meet a lot of people who live relatively close to our physical store in New Hyde Park and the flyers we created seemed help us get our name out to people who didn't know we existed. Day 1 was more successful than we had anticipated! We restocked on some of the merchandise that was sold on the previous day as well as bringing items people had been asking about. We were much more prepared today knowing that we had no access to internet or electricity. Compared to the first day of the convention, the second day seemed to be less busy but there were still a decent amount of people. We continued to hand out flyers (posted below so you can get 10% off on anything in our store) and meet people who lived close by and never knew our store existed till they met us. The convention closed early than the day before because all the exhibitors had to clear out everything they brought. Deconstructing was much easier than setting up, and luckily we didn't have to wait because we brought all our inventory to our cars instead of bring the cars to our inventory. Eternal Con didn't start off as the greatest experience, but overall we accomplished a lot through it.